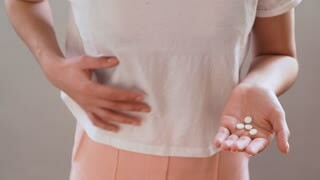 Search Results for "hand pain"
Close-up of pills in the hand of a young woman with abdominal pain. Male hands massaging female knee. Girl with pain in knee joint sport workout. Sport accident concept. Young teenage boy with back pain. Child boy holds his hand behind his back. Green screen hromakey background for keying. Sad man holding hand on sick back. 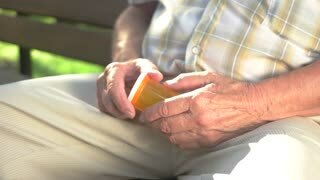 Elderly man suffering from pain in lower back on blurred background. Capsule in palm of hand. 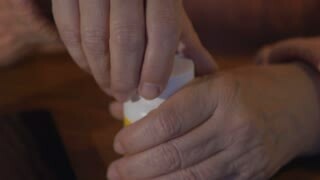 White pill bottle. Don't increase the dose. Use medicine against pain. Old man feeling throat pain. Senior man touching his neck with two hands because of sore throat. Tonsillitis: causes, symptoms and treatment. 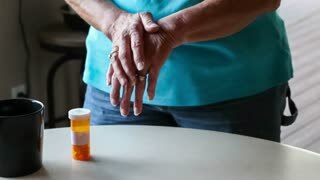 Elderly hand holds pills. Orange tablet container. New type of antibiotics. Drug that suppresses pain. Closeup portrait, young woman in white shirt typing then getting terrible hand pain after long hours of computer work. 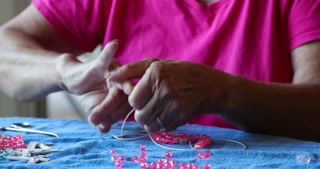 Closeup of massage therapist applying pressure to elderly woman’s hands for pain relief.